The assessee has paid compounding fine to regularize the building plan. The payment of such compounding fine is penalty in the nature of an offence or which is prohibited by law. We have noticed that the decision on this count is divided among the various courts. The Hon’ble High Courts Karnataka and P&H have held the same as penalty in the nature of an offence. The other ITAT benches have given divergent views. In our considered view, the builders submit building plan for approval and based on the proposed plan, the Corporation/ Municipalities gives approval. It is fact that at the time of approval, the corporation and the builders aware that it is not possible to complete the project as per the proposed plan as there are certain adjustments need to be made at the time of actual execution. As long the actual completion of the projects are within the parameters of approval, the corporation/approving authorities permit the projects as approved with the nominal fine or compounding fee. This is the reason, the corporation has the clause intact in the rules books. If the projects are illegal, which is an offence and cannot be cured, the whole project cannot be approved by the approving authorities, as the same is subject matter of public safety. The penalty can be classified as two types; one charged for violation of law in the nature of offence, which cannot be pardoned by compounding and the second is charged for violation of certain rules which are not in the nature of offences and can be cured by compounding. In the case of housing/commercial projects, the corporation aware that there will be certain deviations at the time of approval and no project can be completed without any deviation. The question is, the extent of deviation. In case it is within the permissible limits, the approving authorities, allow with compounding the deviation by levying compounding fees. In the given case, the project was completed and the deviations are within the limits, for which the Bangalore Mahanagar Palike has approved the project by compounding fees, which is not in the nature of offence nor prohibition of any law. Hence, it is allowable under section 37(1) of the Act. Conclusion: Compounding fee charged on account of deviation of building plan within approved limits could not be classified as penalty charged for violation of law, therefore, same was deductible in assessee’s hands. Assessee- builder had undertaken execution of certain project. As it was not possible to complete the project as per the proposed plan, the assessee made payment of compounding fine to approving authority to regularize the building plan. AO held that such compounding fine was in the nature of penalty charged for violation of law and, therefore, not deductible. Assessee’s case was that extent of deviation was within permissible limits. Held: No housing project can be completed without any deviation. The question is the extent of deviation. In assessee’s case it was within permissible limits, the approving authorities, allowed compounding the deviation by levying compounding fees, classifiable as penalty charged for violation of certain Rules curable by compounding. As assessee had not been penalized for violation of law, compounding fees was deductible in its hands. This is an appeal of the assessee directed against the order of the learned Commissioner–2, Hyderabad, dated 8-1-2016 for assessment year 2011-12. 2. Briefly the facts of the case are that the assessee company filed its return of income for the assessment year 2011-12 on 30-9-2011 admitting total income of Rs. 1,10,70,224 after claiming deduction under section 80IB(10) amounting to Rs. 5,38,55,695. Assessment was completed under section 143(3) on 13-3-2014 on a total income of Rs. 1,19,55,644. The tax payable was determined on the basis of MAT provisions under section 115JB. 3. On a perusal of the assessment record under the powers vested under section 263 of the Act, the Commissioner observed that prima-facie it appeared that the assessment order passed under section 143(3) dated 13-3-2014 is erroneous and prejudicial to the interests of revenue as the assessing officer while passing the impugned order has not disallowed the amount of Rs. 86.60 lakhs which was paid by the assessee towards ‘Compounding Fine’ and penalty to the Bangalore Mahanagar Palike and claimed it as an allowable expenditure in its profit & loss account under the name “Building Approval Fees”. The Commissioner, therefore, was of the view that as this amount represented the compounding fine and penalty, it is not allowable for a deduction as per explanation below section 37(1) of the Income Tax Act, 1961. Accordingly, a show cause notice date 16-2-2015 was issued proposing to revise the assessment. –“(a) The said payment was made for regularization of a deviation in the building plan which was within the permissible limits and it was not in respect of an offence. Hence, explanation (1) to section 37(1) has no application to the facts of its case. (b) For the assessment year under consideration the income was determined under section 115JB at Rs. 6,37,27,397 and the tax payable was accordingly determined at Rs. 1,27,01,189. Even if the said amount of Rs. 86,60,482 were to be added to the total income determined under the normal provisions, the tax payable would work out to Rs. 65,54,047 which is much below the tax determined under section 115JB. As such the order passed by the assessing officer without making the said dis allowance was not prejudicial to the interests of revenue. 4. After considering the contentions raised by the counsel with reference to the facts of the case and the relevant provisions of the Act, the Commissioner observed that the decision of the Hon’ble Delhi High Court in the case of CIT v. Loknath & Co. (Construction) was rendered prior to the introduction of the explanation below section 37(1) in the Income Tax Act. The explanation below section 37(1) which was incorporated in the Income Tax Act by Finance Act No. 2/1998 with retrospective effect with effect from 1-4-1962 stipulates” for the removal of doubts it is hereby declared that any expenditure incurred by an assessee for any purpose which is an offence or which is prohibited by law shall not be deemed to have been incurred for the purpose of business or profession and no deduction or allowance shall be made in respect of such expenditure”. He observed that when the decision in the case of Loknath & Co. was rendered by the Hon’ble High Court on 13-1-1984 this explanation was not there in the statute and hence the decision of the Hon’ble Delhi high Court does not apply to the facts of the assessee’s case. He observed that the assessee’s case is clearly covered by the decision of the Hon’ble Karnataka High Court in the case of CIT v. Mamta Enterprises, in 266 ITR 356 which was rendered on 30-10-2003 i.e., after the incorporation of the explanation below section 37(1) of the Income Tax Act. In fact the decision in the case of Loknath & Co. was referred in the judgment of the Hon’ble Karnataka High Court in the case of Mamta Enterprises and was distinguished. Further the decision of the Hon’ble Supreme Court in the case of CIT v. Vegetable Products Ltd., quoted by the Authorized Representative is applicable when two different High Courts take totally divergent views on the same issue and in the same facts. However, in the present case, the Hon’ble High Courts at Delhi & Karnataka have decided the issue under different statutory Provisions namely one before the incorporation of the explanation below section 37(1) and the other after the incorporation of the said explanation. Therefore, the Commissioner opined that the applicable law in the facts of the assessee’s case is that of the decision rendered by the Hon’ble Karnataka High Court in the case of Mamta Enterprises, which is against the assessee. Therefore, he held that the assessment order passed by the DCIT, Circle-2(1), Hyderabad, under section 143(3) dated 13-3-2014 is erroneous. 4.1 Further, the Commissioner observed that though the contention raised by the Authorised Representative that the tax determined under section 115JB of the Act in the impugned assessment order was much more than the tax that would be payable under the normal provisions even after disallowance and adding of the said amount of Rs. 86,60,482 is correct but still the impugned order is prejudicial to the interests of revenue since the correct assessment of the total income under the normal provisions by disallowing the said amount of compounding fine will have an effect of altering the tax credit under MAT provisions in the subsequent years. 4.2 In view of the above observations, the Commissioner held that the impugned order passed by the assessing officer is not only erroneous but also prejudicial to the interests of revenue and accordingly, the impugned assessment order was revised under section 263 and the assessing officer is directed to disallow and add the amount of compounding fine of Rs. 86,60,482 to the income determined and issue a revised computation accordingly. –“1. The order of the learned Commissioner is erroneous both on facts and in law. 2. The learned Commissioner erred in holding that there is an error in the order passed under section 143(3) of the Income Tax Act on 13-3-2014 which is prejudicial to the interests of Revenue. 3. The learned Commissioner erred in holding that the payment of Rs. 86,60,482 attracts the provisions of section 37(1) of the Income Tax Act. The learned Commissioner ought to have observed that the said payment was made to Bruhath Bangalore Mahanagar Palika for regularization of deviation in the floor area ratio which is within the permissible limit and is not prohibited by law. –1. Modi Builders v. JCIT, (2015) 69 SOT 758 (Pune-Trib.). 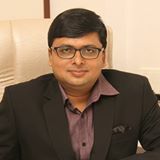 The Tribunal held that compounding fee paid by the assessee, a land developer to the Municipal Corporation on account of deviations from original sanctioned plan was in the nature of penalty and therefore would not be allowable as deduction in view of provisions of Explanation to section 37(1). “In this case, the Hon’ble High Court held that the so called regularization fee in terms of the bye-law 6.0 of the Bangalore Mahanagara Palike Bye-laws is a provision made for regularizing the deviations/violations as enabled under section 483(b) of the Karnataka Municipal Corporation Act, 1976. –“In substance, the payment was in the nature of the amount paid on account of infraction of law as there was violation in the building plan of the assessee. Further, Finance (No. 2) Act, 1998 has incorporated Explanation to section 37(12) which was made retrospectively with effect from 1-4-1962. 8. Considered the rival submissions and perused the material facts on record as well as gone through the decisions cited at bar. The assessee has paid compounding fine to regularize the building plan. The payment of such compounding fine is penalty in the nature of an offence or which is prohibited by law. We have noticed that the decision on this count is divided among the various courts. The Hon’ble High Courts Karnataka and P&H have held the same as penalty in the nature of an offence. The other ITAT benches have given divergent views. In our considered view, the builders submit building plan for approval and based on the proposed plan, the Corporation/ Municipalities gives approval. It is fact that at the time of approval, the corporation and the builders aware that it is not possible to complete the project as per the proposed plan as there are certain adjustments need to be made at the time of actual execution. As long the actual completion of the projects are within the parameters of approval, the corporation/approving authorities permit the projects as approved with the nominal fine or compounding fee. This is the reason, the corporation has the clause intact in the rules books. If the projects are illegal, which is an offence and cannot be cured, the whole project cannot be approved by the approving authorities, as the same is subject matter of public safety. The penalty can be classified as two types; one charged for violation of law in the nature of offence, which cannot be pardoned by compounding and the second is charged for violation of certain rules which are not in the nature of offences and can be cured by compounding. In the case of housing/commercial projects, the corporation aware that there will be certain deviations at the time of approval and no project can be completed without any deviation. The question is, the extent of deviation. In case it is within the permissible limits, the approving authorities, allow with compounding the deviation by levying compounding fees. In the given case, the project was completed and the deviations are within the limits, for which the Bangalore Mahanagar Palike has approved the project by compounding fees, which is not in the nature of offence nor prohibition of any law. Hence, it is allowable under section 37(1) of the Act. 9. With regard to ground No. 4, the adjustment proposed by the Commissioner will have impact on the tax credit available to the assessee in the subsequent assessment year. Hence, this ground is dismissed. 10. Since there is no impact on the original assessment, the proceedings under section 263 is quashed. 11. In the result appeal of the assessee is partly allowed.